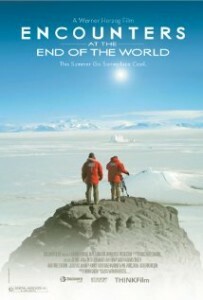 Documentaries allow people to view worlds different from their own and learn something valuable from them. Especially in an academic setting, there is a lot of thought put into what one would like to do for the rest of their life, and how to accomplish it. In this list of documentaries you will find extraordinary individuals who prove themselves to be outstanding examples of what it truly means to live your own truth. All share what it means to pair passion with an occupation, and how success manifests itself to them. There is no set experience or background required to find success, it’s really just all about what makes you tick. Follow Werner Herzog to Antarctica where he explores this stunning icy continent and the small group of people (and penguins) who call it their home. Learn what it takes to be one of the best sushi masters in the world, and how terrified you’d be to visit the restaurant and have an 83-year old sushi master stare at you while you ate each work of art one-by-one in front of him. 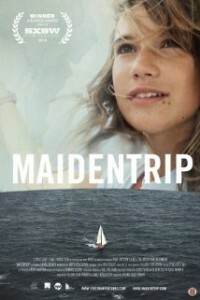 Witness a 14 year old girl set the record for the youngest person to sail the world solo. 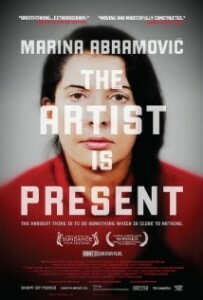 Enter the world of an artist discussed and revered by many, performance artist Marina Abramovic. Learn about her life spent challenging and reflecting on the human psyche and what makes art so provocative and intriguing. All of these titles are available at Media Services! If you are in the market to expand your knowledge of the German language then look no further. 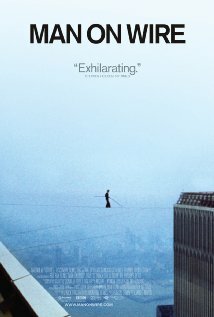 This film released in 2001 was inspired by the Stanford Prison Experiments conducted in 1971. Das Experiment gives a glimpse on the psychological effects of becoming a prisoner or prison guard. 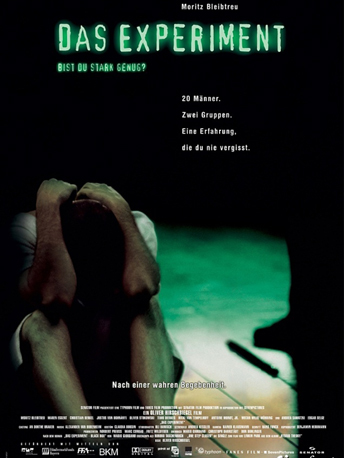 The film does have scenes of brutality and psychological torture therefore; watch at your own discretion. 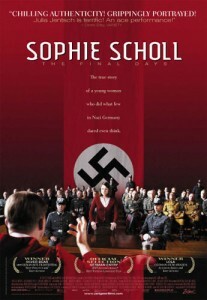 This film released in 2005 is about the last days of Sophie Scholl. 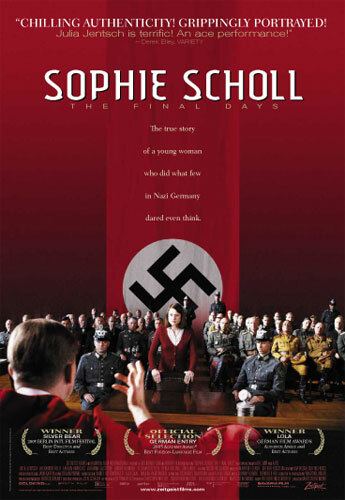 Sophie Scholl born in 1921 was a member of the anti-Nazi resistance group White Rose. White Rose was founded by students at the University of Munich whom used non-violent means to oppose the Third Reich. 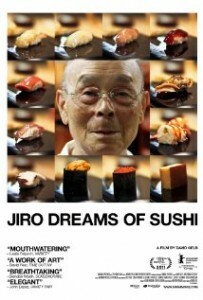 The Last Day has superb acting and should not be missed. Click here for additional German films in the Wells Library Media collection. A mother struggles to form a loving relationship with her son despite his increasingly violent actions as he grows up. Two criminals rob a bank. One escapes, the other is captured and sent to prison. Eventually one criminal becomes a sheriff in Monterey; the other, after having been jailed in a brutal Mexican prison for five years, comes looking for revenge and his share of the stolen gold. A satire in which the President and his military advisers struggle ineptly to avert a holocaust after a psychotic Air Force general launches a nuclear attack on the Soviet Union because he fears the Russians arepoisoning the water supply in the United States. On the occasion of his fifth wedding anniversary, Nick Dunne reports that his wife, Amy, has gone missing. Under pressure from the police and a growing media frenzy, Nick’s portrait of a blissful union begins to crumble. Soon his lies, deceits and strange behavior have everyone asking the same dark question. Did Nick Dunne kill his wife? Based on true events, the dark and fascinating story of the unlikely and ultimately tragic relationship between an eccentric multi-millionaire and two champion wrestlers. A black comedy story of an actor famous for portraying an iconic superhero as he struggles to mount a Broadway play. In the days leading up to opening night, he battles his ego and attempts to recover his family, his career, and himself. “When seven cash-strapped seniors decide to ‘outsource’ their retirement to a resort in far-off India, friendship and romance blossom in the most unexpected ways.”–Container. While Astrid, Snotlout and the rest of the gang are challenging each other to dragon races, Hiccup and Toothless journey through the skies, charting unmapped territories and exploring new worlds. When one of their adventures leads to the discovery of a secret ice cave that is home to hundreds of new wild dragons and the mysterious Dragon Rider, the two friends find themselves at the center of a battle to protect the peace. Two convicts, one white and one black, never give up the dream of freedom, and together they turn hope and Friendship into an uplifting bond no prison can ever take away..
Hassan is a culinary ingenue with the gastronomic equivalent of perfect pitch. Displaced from their native India, his family settles in a quaint village in the south of France. They plan to open an Indian restaurant–that is, until Madame Mallory, the owner of a classical French restaurant, gets wind of it. Her icy protests against the new Indian restaurant so near her own escalate to all out war; until Hassan’s cooking talent and love for Mme. Mallory’s assistant, Marguerite, cannot be ignored. Manipulative and scheming young movie producer Christian makes films to keep his trust fund intact, while his actress girlfriend and bored plaything, Tara, hides a passionate affair with an actor from her past. When Christian becomes aware of Tara’s infidelity, the young Angelenos are thrust into a violent, sexually-charged tour through the dark side of human nature. Fausta suffers from “The Milk of Sorrow,” an illness transmitted through mother’s milk by women who’ve been raped during Peru’s civil wars. Stricken with the fear that she’s contracted the illness from her mother’s breast milk, Fausta goes to extreme lengths to protect her own sexuality and safety. After her mother’s sudden death, she finds herself compelled to embark on a frightening journey for re-awakening, freedom, and wholeness. A mentally unstable Vietnam vet has a one-man war with the police force of a small town after they abuse him. Includes a never-before-seen alternate suicide ending, deleted scenes and commentary with Sylvester Stallone. John Rambo returns to Vietnam to find and rescue a group of American P.O.W’s that have been there since the Vietnam War. Rambo battles Russians invading Afghanistan. Includes deleted scenes, audio commentary with Sylvester Stallone and more. A man glimpses the future fate has planned for him and chooses to fight for his own destiny. Battling the powerful Adjustment Bureau across, under, and through the streets of New York, he risks his destined greatness to be with the only woman he’s ever loved. Confirmed bachelor Don has just been dumped by his latest lover, Sherry. Don begins to resign himself to being alone and left to his own devices. However, he becomes compelled to reflect on his past when he receives a mysterious pink letter by mail. It is from an anonymous former lover and informs him that he has a 19-year-old son who may be looking for his father. Rich Hill, Missouri (population 1,393) could be any of the countless small towns that blanket America’s heartland. But to teenagers Andrew, Harley and Appachey, it’s home. They are like millions of other boys coming of age the world over, but face unfortunate circumstances an imprisoned mother, isolation, instability, and parental unemployment. Adolescence can be a day-to-day struggle just to survive. “[Inspired by true events, in 1985,] Texas cowboy Ron Woodroof … sees his free-wheeling life overturned when he’s diagnosed as HIV-positive and given 30 days to live. Determined to survive, Woodroof decides to take matters in his own hands by tracking down alternative treatments from all over the world by means both legal and illegal”–Container. Davey is a 17 year-old girl abruptly relocated by her grieving mother to the strange “atom bomb” town of Los Alamos, New Mexico. With the sudden and violent death of her father, the displaced Davey no longer knows who to be or how to fit in. Everything that once mattered suddenly seems insignificant. But when she meets Wolf, a mysterious young Native-American, while exploring the surrounding canyons, she feels he is able to see past her pain and into her true self.